Some people want their teeth whitened because their pearly whites aren’t so white anymore, no thanks to the food that they eat, the beverages that they drink, and their overall lifestyle choices that have led to staining and discoloration. Some people, meanwhile, undergo teeth whitening procedures or buy teeth whitening products even though their teeth color looks fine and healthy simply because they want their teeth to be as white as they can be. Whatever a person’s reasons, there is no denying how popular teeth whitening has become these days. 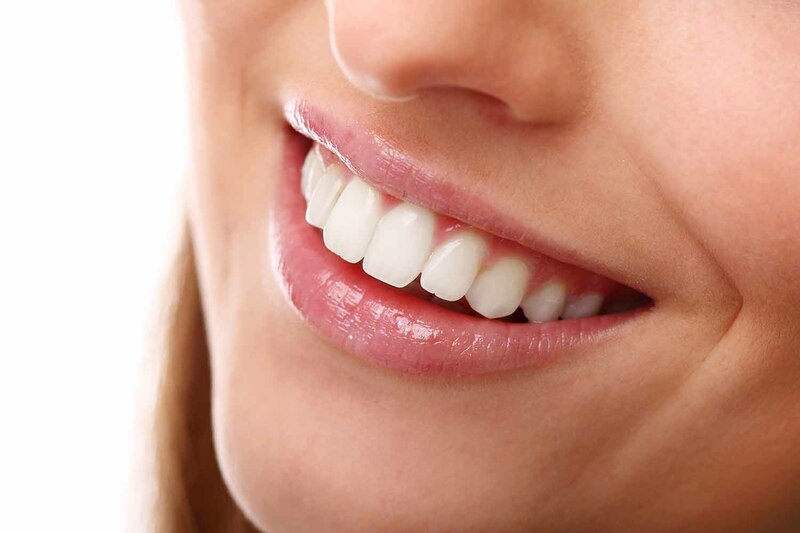 Tooth whitening is a popularly requested dental procedure. The global market for teeth whitening products, in fact, is projected to reach $7.40 billion by 2024. However, for all its popularity today, myths about teeth whitening still abound. While some of these myths are simply inaccurate or just don’t work, some of could do more harm than good. Whatever you do, don’t believe the teeth whitening myths listed below. Myth #1. You can whiten crowns, veneers, and fillings. If you already have crowns, fillings, or veneers and you had a teeth whitening procedure, then you can expect unevenly-colored teeth afterward. That’s because crowns and other corrective materials are made of inorganic matter which will never respond to teeth whitening the way your real teeth will. So if you plan to have fillings, veneers, and crowns, it’s best to do the teeth whitening first. Myth #2. Oil pulling can remove stains. Many practice oil pulling, which involves swishing and edible oil, such as coconut oil, inside your mouth for a few minutes. Lifted from Ayurvedic medicine, oil pulling supposedly removes stains from your teeth and therefore leads to whiter teeth. While many testify that oil pulling does provide certain health benefits, there is still no scientific research confirming that it is effective in whitening stained teeth. Just because you have sensitive teeth doesn’t necessarily mean you can’t do anything about the stains and discoloration that stop you from showing your full smile to the public. For always, dentists are ready to address any issues you might have about any dental procedure, teeth whitening included. Chances are, he or she will recommend the use of a special toothpaste before the procedure. Your dentist will also likely use a desensitizing gel or even rubber gum guards during the treatment just to make you more comfortable. Myth #4. You can whiten your teeth using acidic fruits. For those who advocate natural means of whitening their teeth, rubbing oranges, lemons, strawberries and other acidic fruits on their teeth is a popular practice. Doing so, however, does not remove stains at all. In fact, having naturally acidic ingredients come into contact with your teeth in such an abrasive manner can only cause serious damage by wearing away the enamel. Considering the fact that you can’t grow enamel back, you better avoid this teeth whitening practice. Myth #5. Teeth whitening harms your enamel. To be fair, some of the teeth whitening products that you can buy over the counter may do some damage on your enamel or gums, especially if you overuse it. However, your teeth and gums will be perfectly fine after teeth whitening if your dentist used a high-strength whitening gel, which is known to be safe and effective. Contrary to what people say, whitening doesn’t involve taking your outer tooth layer out. What it does is open the pores of the outer layer, giving the cleaning agent access to the inner tooth stains. Myth #6. Teeth whitening will give you a picture-perfect smile. It’s true that most people expect a Hollywood smile after a series of whitening treatments, but in reality, results vary from person to person. Some do get that perfect smile because they have teeth that respond well to the whitening agents used on them. Some people, however, just happen to have teeth that are simply too stubborn to give their owners any favorable result despite multiple treatments. If you have teeth that are as stubborn the ones described above, then you might have to explore other options such as veneers since they may be the only way for you to get that Hollywood smile you’ve always wanted. #Myth #7. Professional whitening removes all tooth stains. Teeth whitening procedures and products are often advertised as the best ways to remove stains and discoloration, but the truth is, there are some types of discoloration or stains that whitening treatment cannot eliminate. As we age, the enamel on our teeth wears thin. Worse, getting older means the yellow dentin layer underneath becomes more visible. The typical result is teeth with a gray hue, and no amount of teeth whitening procedures and products can make it look whiter. Myth #8. Over-the-counter teeth whitening is just as good as professional whitening. If you’ve decided to DIY your own teeth whitening, then the strips, toothpaste, gum, and other teeth whitening products you can buy over the counter may help. However, comparing their effects and results to a professional whitening treatment is a case of apples and oranges. If you’re only going for a temporary removal of the discoloration on the outside of your teeth, then your store-bought products may do the job. Professional whitening administered by a dentist, however, penetrates your teeth’s deeper layers and addresses the intrinsic staining that keeps them look darker. Myth #9. Teeth whitening is forever? There is no such thing as permanent teeth whitening results. Teeth whitening is believed to last up to three years, although the duration may differ depending on the person. For those who eat or drink teeth-staining products such as coffee, tea, and red wine, among many others, the likelihood of their teeth remaining white for such a period of time is low. The same goes for those who smoke. These are just some of the many teeth whitening myths making the rounds. To make sure you’re getting the facts right, make sure you consult a cosmetic dentist you can trust before starting any whitening treatment on your own. Amanda McIntyre is a Content Marketing Strategist for Dental Studio 101, a Scottsdale cosmetic dentistry clinic that specializes in providing anxiety-free dental services, including dental implants and porcelain veneers. She enjoys reading books and being around family and friends.